Putin@war: Did a Russian Jet fire into the city of Lugansk on 2-6? Since it seems so far-fetched (see this page) that the Ukrainian army would indiscriminately launch a rocket attack in the park in front of the administration building in Lugansk on June 2nd, I want to be sure that every other explanation is impossible. So I propose this hypothesis: could it have been a Russian jet that used a friend-or-foe system from a captured Ukrainian airplane in Crimea? Red arrow is the known flight path. The dotted red line is the shortest route from the Russian border. This is only 15 km. The attack speed would have been 500 km per hour. It would take the jet less than 2 minutes to fly from the border to Lugansk and start it's attack. So tell me: why not? Tweet me your arguments and I will look into this and update this page accordingly. This article says that Russia captured 37 Ukrainian airplanes in Crimea. They started returning the technically defect airplanes, but stopped doing this when the working ones had to be turned over. They still have 9 MIG-29s with the Ukrainian friend-or-foe recognition (IFF). Tymchuk says it is possible that these airplanes might be transferred to the airfield in Rostov and might be used against Ukraine. 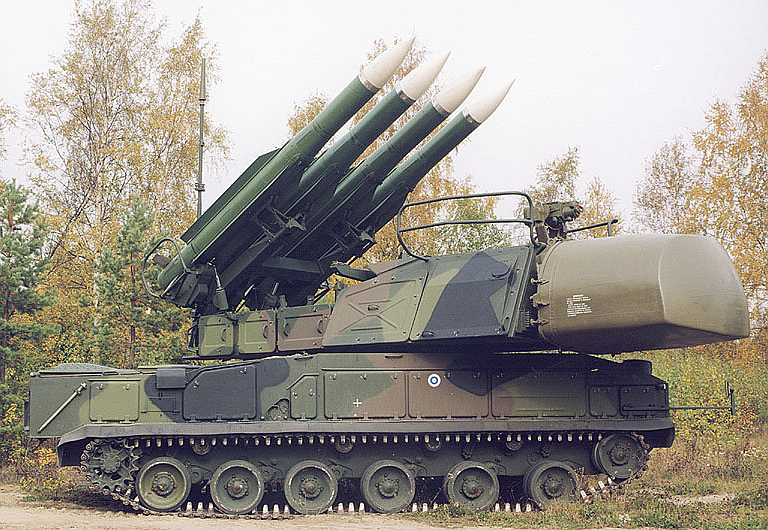 In the Lugansk attack it seems to have been a SU-25, so this IFF-system should have been transferred to another plane? This article from The NewYork Times writes that on April 26th a Pentagon spokesman, Colonel Steve Warren said that on several occasions in the previous 24 hours Russian aircraft had entered Ukrainian airspace. This can be understood as 'probing' the airspace and the responses. By such incidents they know the Pentagon and or the Ukrainian army sees them. In this way they can learn to avoid recognition and/or they know what to do to prevent recognition the next time. 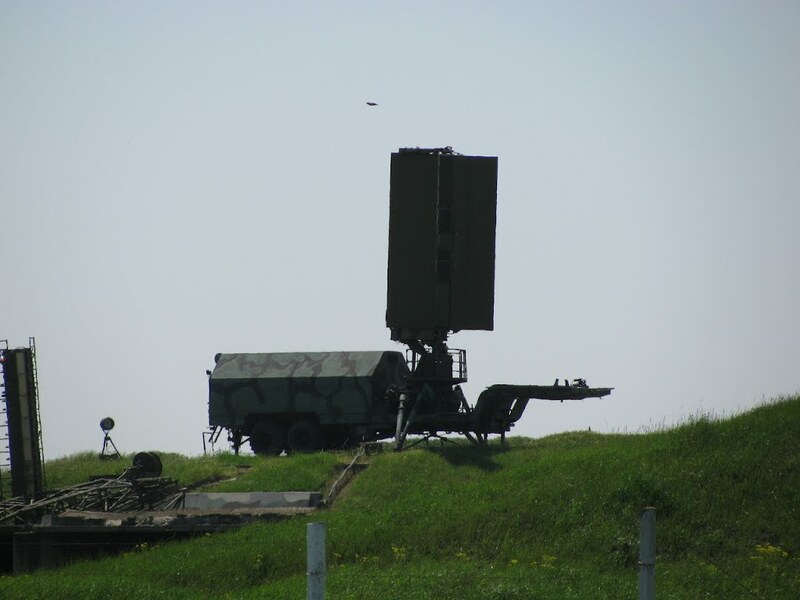 This article says that in the Lugansk region a radar installation was destroyed with arson. Since details and location are not mentioned, it may be the same incident as the next one? This article (in Russian) from the Ukrainian government says that 20 armed men attacked a radar station in Sverdlovsk and set it on fire. This article (in English about the same incident) says that this "RLS 35 D-6 radar station is used to exercise control of crossing air space". This incident has not gotten much attention, but in the light of what we are investigating, this is uttermost important. A radar station that controls the crossing of airspace has been destroyed!!! Why would 20 armed men bother to disable such a radar? This is not a random target. This is part of a plan to be able to cross the border with an aircraft without being noticed. Of course!!! Red arrow is the known flight path. Blue is the border. Red circles are detection ranges for altitudes of 50 and 100 meters. This article gives a summary of events on June 1st. It says a radar had been destroyed on an outpost but does not say where. Inforesist also mentions this incident, but puts it on the 31st of May. (It may have happened in the night from May 31st to June 1st?). Insurgents had long negotiations with 5 soldiers. The soldiers destroyed all equipment in the bunker and burned critical documents. After that 2 MIG-29s made an airstrike on the most powerful radars, rendering it useless. The code name for this location seems to be A0194. In other words: the entire air-defense-system was down around Lugansk after 1-6!!! @djp3tros @Jaxenatix @firatgokalp Also an anti-aircraft missile battalion is probably located in Avdeyevka and another in Mariupol. The first one he mentions, is near Donetsk, more than 110 kms from Lugansk and probably unable to detect any traffic around Lugansk. Mariupol is even further away. Every IFF has a unique number. When a IFF is built into another airplane it can be recognized as 'a stolen airplane'. So this seems an unlikely scenario now. But without radar you don't need a IFF? Would the transponder of this aircraft (by which it can be identified) have been on or off? When on it would be traceable. When off it would be very hard to trace. Trying to find the transponder data will give a lot of clarification about what happened.